Using buyer persona templates can make your website 2-5 times more effective and easier to use by your target audience. And that’s just the tip of the iceberg. A well-crafted buyer persona is a complex and unique hero for the narrative you’re telling with your business’s brand. But with so many people extolling the values of buyer personas, it can be hard to find the facts on exactly how they’ll improve your marketing efforts. Here are a few of the most important ways a buyer persona template can help you boost your SEO and your business as a whole. What Is a Buyer Persona Template? When targeting an audience it can be one’s first instinct to think broadly. Demographics are the go-to solution for such marketing. A buyer persona template is a similar but different approach. A buyer persona is a fictional customer who represents the real customers you want your product or service to appeal to. They’re created by gathering demographic and psychographic data from your customer base. Using these features, you create a buyer persona template – a fictional character that will aid you in maximizing your marketing dollars spent. But how exactly does a buyer persona help you do that? A thorough buyer persona template won’t just give you demographic information, it’ll also narrow down what content your target audience already likes to consume. TV show habits, publication subscriptions, and social media haunts are all solid indicators of what content your buyer persona goes out of their way to read and watch. You can then tailor your own content to fall within those bounds. This will make your content more relevant and therefore more likely to engage your target audience. Knowing is half the battle. Once you have a solid idea of what content is likely to engage your buyer persona, you’ll quickly become an expert on those topics. It’s much easier to bash out content when its a subject you know well. Narrowing your field of focus to cater to a buyer’s persona specific interests will not only ensure your content is more relevant, you’ll also be able to write it faster than ever before. If your buyer persona template spends 70% of their downtime online, then a print ad campaign probably isn’t the smart move for your business. If you drill down even further to what social media platforms and sites your buyer persona spends the bulk of their time on, you’ll know where to concentrate your efforts. 800 million monthly active users are on Instagram and an estimated 550 million use Tumblr. While there’s definitely overlap between the two platforms, it’s not 100%. People who spend 70% of their social media time on Tumblr probably won’t engage with Instagram in the same way either. Developing a buyer persona template lets you get specific with your campaigns in a way that simple demographic-style marketing doesn’t. You’re not just targeting a platform, you’re targeting people who use a platform in a certain way. As the saying goes: don’t reinvent the wheel. If there are specific people or publications that are killing it with your specific buyer persona, you’ll be able to learn from those influencers. This isn’t to say copy your competition. Rather, use them as a case study. See what campaigns of theirs have worked and which ones fell flat. Delve into why things succeeded. Studying your competitions’ failures can also lend valuable insight. You’ll be able to learn from their mistakes so you don’t make the same ones yourself. At its core, marketing is about deconstructing your audience’s intent. This is because search engines operate to connect searchers with relevant content based on the questions they’re asking in each search query. If you can determine what your target audience is asking, you can better answer their questions, and search engines will thank you by prioritizing your content. Buyer persona templates help you determine what your audience is asking by determining their points of interest. A 31-year-old web developer who posts a lot of latte art to Instagram might ask search engines about new local cafes in their area. A new father just moving into a house for the first time with his family might be looking for local cleaners. And so on. Keyword research is a big player in the world of SEO. At its core, keyword research is the practice of using online tools to determine the terms your audience searches. It also measures other metrics such as search demand and competitiveness. Buyer persona templates aid keyword research in a few ways, but particularly at the brainstorming stage. When you’re generating seed terms, it’s useful keeping your personas in mind. Ask yourself, do your brainstormed terms reflect the need and intentions of all your personas? If one persona is tech-savvy while another is not, have you catered to both levels of technical proficiency? Are you prioritizing keywords that reflect your personas’ interests and intent? Of the companies studied who exceeded their revenue and lead goals, 71% had documented buyer personas. 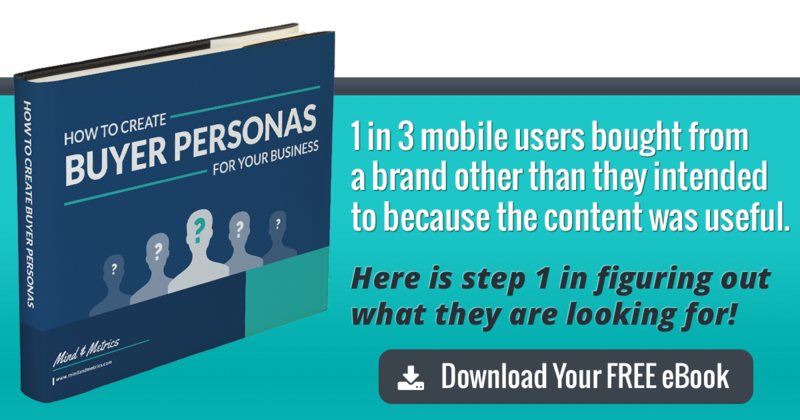 65% of those companies also updated their personas within 6 months of the study. Persona-based content engaged 58% of cold leads. Other content only engaged 10%. Email open rates are 2-5 times higher when using personas. Developing and maintaining current buyer personas is a boon to your marketing, SEO and your business as a whole. They help you brainstorm relevant keywords, target your content marketing more effectively, and stay a step ahead of your competition. Ready to start developing your own user personas? Check out this worksheet to learn how to create buyer personas for your business.